Irvington Arson Charges – Arrested, Need Help? If you have been accused of arson in the State of New Jersey, you could be subject to severe penalties. Whether the offense is classified as a threat crime or a crime against property, the penalties are significant. In fact, it doesn’t matter what form of arson you’ve been accused of committing; arson is always classified as a felony-level offense, which means that you can be punished with state prison time. That is why it is imperative for you to contact an experienced criminal defense attorney who understands how to attack the prosecution’s case and keep you out of prison. The Tormey Law Firm is a criminal defense team with extensive experience defending clients against arson charges in New Jersey. The firm’s founding partner, Travis J. Tormey, has successfully handled thousands of criminal cases, including arson cases in Essex County, NJ. 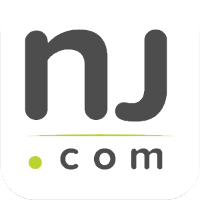 Mr. Tormey has represented clients charged with indictable criminal offenses in Montclair, Newark, Bloomfield, and everywhere else in Essex County. Mr. Tormey received the AVVO clients choice awards in 2013 and 2014. He was also named one of the Top 10 Criminal Defense Attorneys Under 40 In New Jersey in 2014 by the National Academy of Criminal Defense Attorneys. He was also heralded as one of the Top 40 Attorneys Under 40 in the Nation in 2014 by the National Trial Lawyers Association. If you or a loved one has been charged with arson, contact the Tormey Law Firm anytime at 201-654-3464. We welcome the opportunity to discuss your case and help you explore your legal options. Arson traditionally has been classified as a crime against habitation and involved the malicious burning of the dwelling place of another person. However, New Jersey law has expanded the scope of the crime of arson to include the burning of buildings, automobiles, and motor homes. Any person who intentionally damages a dwelling by starting a fire or causing an explosion can be charged with arson. Moreover, the dwelling does not necessarily have to belong to someone else; you can be charged with arson even if you intentionally damaged your own home by starting a fire. Simple arson is classified as a third degree felony under N.J.S.A. 2C:17-1(b). This means that you can be sentenced to 3–5 years in New Jersey State Prison if you are convicted of simple arson. When seeking a conviction for third degree simple arson, the prosecution must prove that you purposely started a fire and, in so doing, recklessly placed another person in danger of death or bodily injury or recklessly placed a building in danger of damage or destruction. Alternatively, the prosecution can prove that you set the fire in order to collect insurance, exempt the property from zoning laws, or destroy a forest. As set forth by N.J.S.A. 2C:17-1(a), aggravated arson is a second degree felony. This means that you can potentially be sentenced to 5–10 years in New Jersey State Prison if you are convicted. Moreover, aggravated arson is one of the enumerated crimes in the No Early Release Act (NERA); as a result, you will be required to serve at least 85 percent of any prison sentence before becoming eligible for parole. In order to secure a conviction for aggravated arson, the prosecution must prove that you started the fire for the express purpose of endangering another person or destroying a building. While the standard for a simple arson charge is recklessness, intent is what matters for an aggravated arson charge. The most serious form of arson is arson for hire. As set forth by N.J.S.A. 2C:17-1(a), arson for hire is a first degree felony. 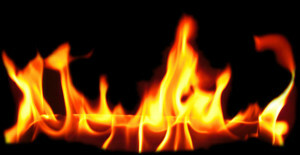 This means that anyone convicted of arson for hire is subject to a sentence of 10–20 years in New Jersey State Prison. Additionally, the No Early Release Act (NERA) applies in these cases; you will be required to serve a minimum of 85 percent of your sentence before gaining parole eligibility. Moreover, you can be convicted of arson for hire even if you did not actually accomplish the desired result; as long as money changed hands, you can be found guilty of arson for hire. Failure to control or report a dangerous fire is the least serious form of arson. As set forth by N.J.S.A. 2C:17-1(c), this offense is classified as a fourth degree felony. A conviction for failing to control or report a fire can result in a sentence of up to 18 months in New Jersey State Prison. Certain individuals must take reasonable measures to put out or control a fire which they know to be endangering life or property. Anyone who has an official, contractual, or legal duty to prevent the fire must take appropriate action. The same is true if the individual started the fire; they must take appropriate action to combat the fire once it has been started. The Tormey Law Firm knows how to craft effective defense strategies in arson cases. We will do what is needed to win your case and help you avoid the most serious arson penalties. Call us now at 201-654-3464 to discuss your charges. You can also email us to schedule a free consultation at our office in Newark, NJ.